Model and photographer, Allison Harvard, has an incredible amount of experience on either side of a camera. 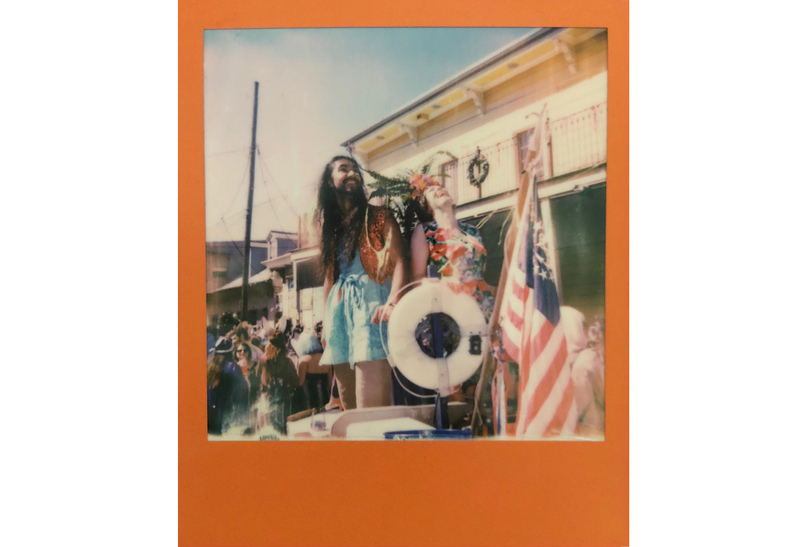 She brought her new Polaroid OneStep 2 analog instant camera to New Orleans to capture the stunning unique creative energy at Mardi Gras. We sat down to ask her a few questions about her life and work. Tell us a little bit about what you do, as a photographer and as a model. AH: People are fascinating and you can be whoever you want to be in a photograph. Pictures allow you the space to experiment with parts of yourself that you might not be ready to share. Modeling has made me a lot more comfortable in front of and behind a camera. I see from both perspectives now. I also feel a connection to the people I photograph; I can understand how they’d like to be seen and photographed. AH: I am currently building really fun props for a photo shoot and working on my hand painted denim jacket line. I have tons of shoots and personal projects coming up. I travel a lot for work and I’m very excited to take my camera with me. I am a big fan of personal scrapbooking and documentation. 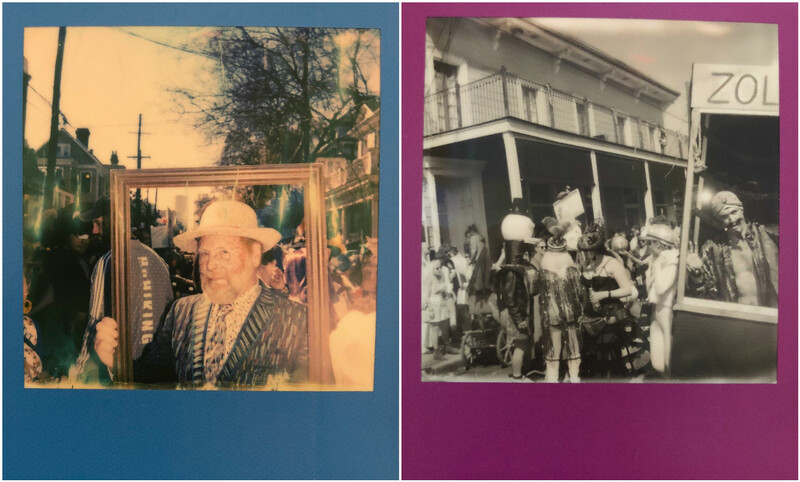 What was your inspiration for shooting these images in New Orleans? AH: New Orleans is so spooky and beautiful. There’s really nothing like it. I went to Mardi Gras all of the time as a kid and it made me so excited to grow up. Costumes! Parades! Parties! Floats! The amount of creativity is breathtaking. I love that people get to be whoever they want to be and it’s celebrated. That’s what I wanted to capture. How do you use your Polaroid camera? AH: I try to bring my camera with me everywhere. It’s like a second purse that actually does something cool. What does it add to your shoots? AH: Polaroid film is timeless. 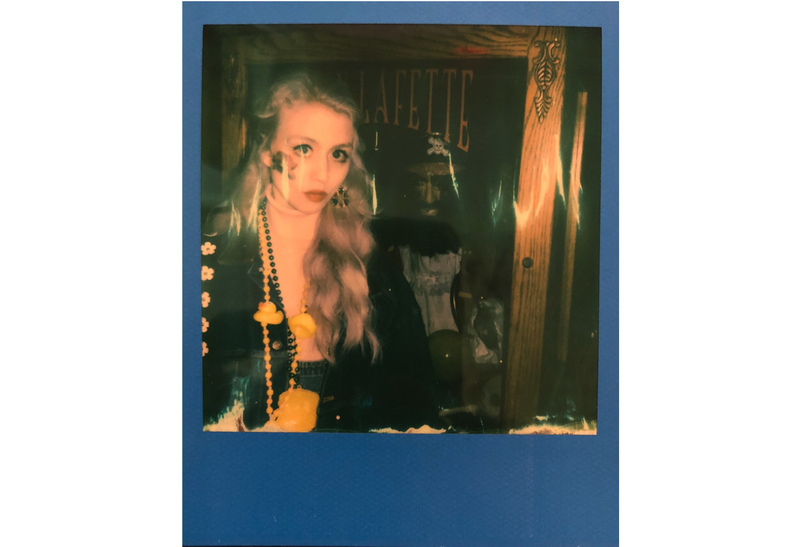 Even when I am working on set there’s a 10/10 chance that I’ve brought my Polaroid camera just to take BTS (behind-the-scenes) pictures so that I can remember the moment the way I saw it. There’s just something really precious about the way the pictures develop and age. When did you start using a Polaroid camera? AH: I got my first Polaroid camera 12 years ago and anytime I had extra money, I spent it on film. I wish I could remember what kind it was! 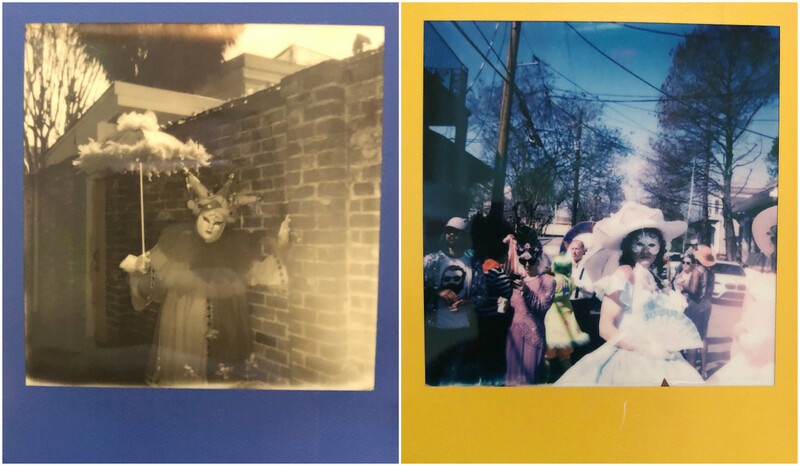 How has instant photography affected you as an artist and model? AH: I LOVE that it’s instant. I love watching the film develop and come alive. It’s just so cool. I’ll never get over it. 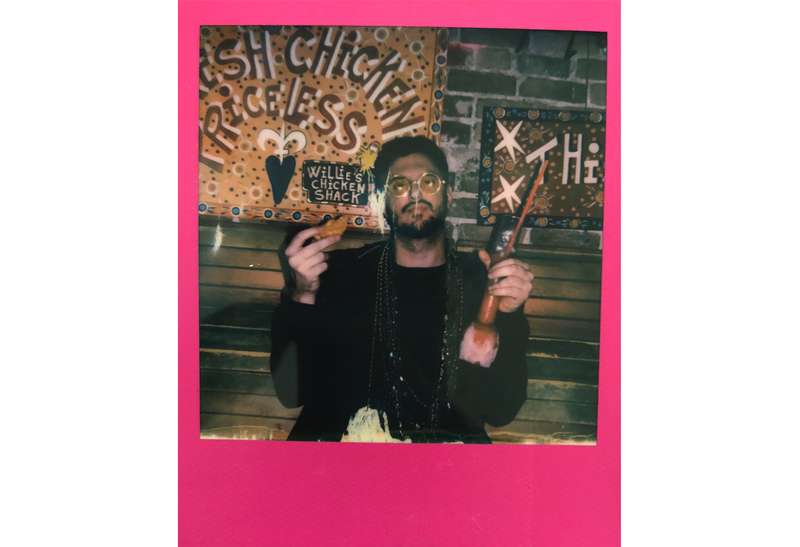 There are 2 things (way more than 2) in this world that are truly magical to me: #1 Polaroid Film: It’s amazing that we can actually capture our precious moments and keep them as a tangible thing forever. #2 Airplanes — WTF. What are your first impressions of the Polaroid OneStep 2? AH: I love how cute and light the camera is. It’s super easy to operate and the pictures came out beautifully. AH: I love how excited people would get when they noticed that I had taken their picture with a Polaroid camera. I was shocked that so many people had never seen this one before. It made the whole process really personal and special and I was happy to share. 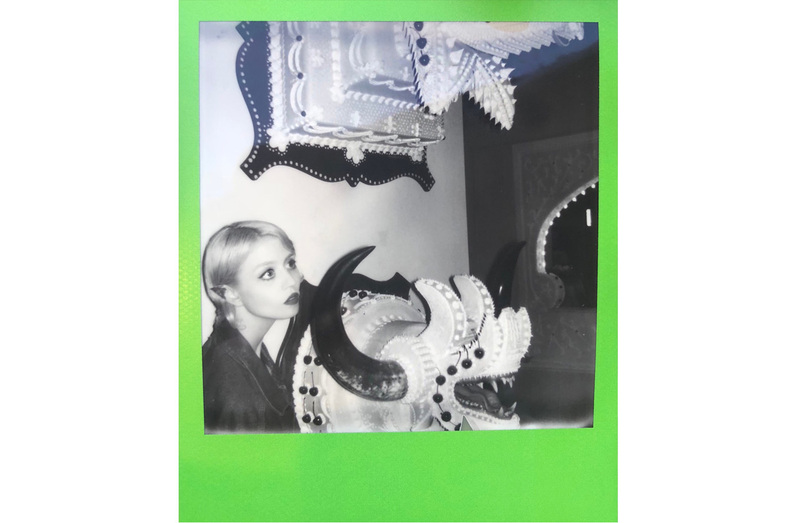 To see more of Allison Harvard, check out her Instagram @alliharvard.